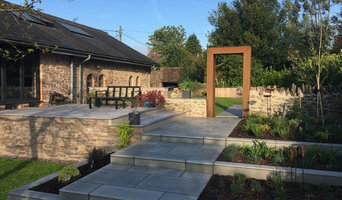 We are a fully insured and accredited Garden Design and Build Ltd company based just outside Bridgwater, and serving Somerset with creative and affordable Gardens. Our wide ranging portfolio covers Traditional and Contemporary builds, and we have many happy clients who continue to recommend our services. Westend Landscapes is a multi award winning family-run company, established for over 25 years, offering quality landscaping from design to completion. We cover all aspects of landscaping. including all styles of driveways, patios, walling, decking and fencing. We are fully insured and guarantee all our work, which is installed by our friendly staff including myself, Matthew Priest. Our company is based on the belief that our customers' needs are of the utmost importance and we are committed to meeting those needs. As a result, a high percentage of our business comes from repeat customers and referrals. We look forward to the opportunity of earning your trust and delivering you the best service possible. We turn the dreams of our clients into reality by Transforming Driveways and Gardens. At High Standards, we’re pleased to support you through every phase of your project. 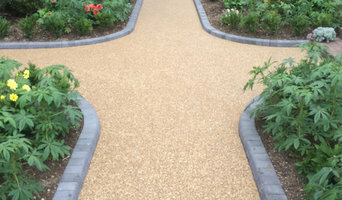 As a family run business established for over 10 years, we have a considerable amount of experience of creating and landscaping driveways and gardens Our projects typically begin with a consultative design process which will ensure we bring your goals and vision to a beautiful, premium-quality reality and extends to the development and delivery of your completed project. We are based in Somerset and cover the entire South of England. We specialise in premium driveways, landscaping and garden design services tailored for any budget and project. We are now able to supply and install the worlds leading brand of composite decking, manufactured by Trex. This has none of the disadvantages of the old wooden decking offering a non slip surface with no maintenance and a 25 year guarantee. We are pleased to be able to offer our customers a finance option to enable the cost of your project to be spread over a number of years. Look at the 'Finance Options' page on our website for more information, or contact Trevor directly. We are a landscaping business providing a range of bespoke services to transform your garden into an extension of your living space, creating a place where you’ll want to spend more time. 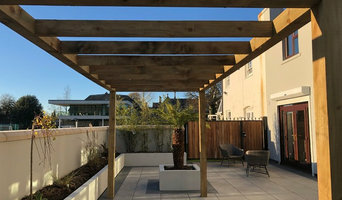 We work closely with our clients taking into consideration their practical needs and own ideas, resulting in the creation of distinctive outdoor spaces that extend and improve your living environment. The quality of the natural materials we use is integral to the work we do, so too are the practical needs and lifestyle of our clients. Our spectrum of services cover everything from monthly maintenance to complete landscaping projects from concept through to completion, and the gardens we create are always innovative and striking. We undertake a wide variety of projects: from large, long-established gardens to small, contemporary spaces, and we believe it’s our attention to detail that sets us apart. 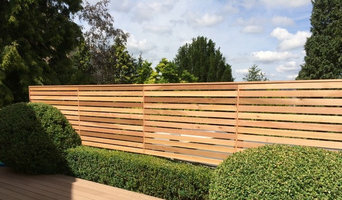 Whether you’re looking to create a terrace or decked area for entertaining, a low-maintenance urban space or a tranquil retreat with year- round colour we’ll deliver a result that suits your requirements and budget. Landscape Design & Build. Our experienced landscape designers and craftsmen combine horticultural expertise, construction knowledge, creativity and effective project management to bring your ideas to life, naturally. Enjoy the professional property maintenance with Fantastic Services in Bristol. We provide high-quality services delivered by trained, experienced and friendly experts. Take advantage of the following services in Bristol: ✔ Cleaning services - all cleaning services are provided by knowledgeable, well equipped and insured cleaners. You can choose from a variety of services as regular domestic cleaning, window cleaning, carpet and upholstery cleaning, end of tenancy cleaning etc. ✔ Gardening services - choose the expert gardeners in Bristol who know exactly what’s important for your garden. Equipped with the right tools for every job, the gardeners can help with lawn mowing, tree surgery, garden clearance and many more garden maintenance tasks. ✔ Pest Control - we work with experienced technicians which will help you to keep your home pest-free! Handyman and tradesmen Services - the technicians are fully trained and equipped to assist with any home repair task you have on mind. ✔ Moving and storage - you can make relocating easy and stress-free procedure with us. Home removals, storage service, furniture collection and delivery, packing service, moving supplies are international removals are all available and easy to be booked online or by phone! ✔ Handyman Services - trusted and insured local handymen will help you with all property maintenance tasks you have on mind. Some of the most recently used services in Bristol are electrical repairs and installations, plumbing, painting and decorating, carpentry, flooring, tiling, floor sanding odd jobs etc. ✔ Furniture assembly - the technicians can assist with the assembling of all types flat pack offered on the market Something more, with joining our Fantastic Membership Club you get up to 40% discount on all our services for a whole year! If you need additional information visit our website! Purveyors of awesome - Turf King is family business dedicated to achieving excellence in artificial grass. Working as a b2b contractor for some of the most prestigious names in the landscape and construction industry and also directly for homeowners Turf King has an enviable reputation as a market leader within our field (no pun intended!) Turf King is a young business built on old-fashioned values where quality, attention to detail and customer service come before profit. We offer honest, impartial advice and thorough, experience-led solutions at prices that represent genuine value for money when considered against other market alternatives. We care about what we do and we care about our customers – a simple ideology which many companies advertise but few deliver upon. Get in touch today and start your Turf King experience. Trust Alpha Garden Team to be your reliable gardening company in Bristol and nearby areas. Whatever your garden needs, your garden gets. The professionals are well trained and highly experienced to give your garden: ✓ Garden Maintenance ✓ Garden Clearance ✓ Lawn Mowing and Care ✓ Tree Surgery ✓ Jet Washing and more! besides taking good care of your lawn, we can just as easily provide you with a patio cleaning, window box installation and outdoor repairs should you need them. By combining any of these services you will get special discount regardless of where you live. We cover all areas within the Bs postcode area. You are welcome to call our 24/7 customer care team and ask for a free quote. Gardening in Bristol has never been easier! A lifetimes passion for gardening started at a young age helping my dad on his allotment. In later life I studied at Usk college where I gained an RHS qualification and I started Laurel Bay Gardens back in 2012. Since then I have built up a regular customer base and more recently have worked allongside Gaynor Witchard, RHS society medal winner and garden designer. I offer a quality garden service with hints and tips on how to get the most from your garden through the seasons,letting your wishes interests and requirments guide me. We are a family run business based in Cwmbran, South Wales, with over 12 years experience. We cover all aspects of landscaping - design, installation and garden maintenance. We cover the areas of Cwmbran, Pontypool, Blaenavon, Usk, Caerleon, Newport and Risca. Our regular clients vary from weekly to monthly maintenance, depending on the requirements and budget. We can provide a simple grass cutting service, to full lawn care, borders, trimming of shrubs & trees, hedge cutting and clearing of patios and pathways. We can offer contracts to both domestic & commercial clients. We pride ourselves on being a family run company who have built a reputation on always putting our customers’ needs and requirements first. All work we carry out will be to the very highest standards ensuring that you’re happy and willing to recommend us to your friends and family. Somergreen Turf is a family – run business, established in 1981. We are growers, suppliers and installers of quality Cultivated Lawn Turf as well as offering a professional Soft Landscaping service. Somergreen Maintenance is also available for all your Garden & Grounds Maintenance needs from Mowing to Garden Blitzes etc. We are a long established, family owned and run, professional business based in the Caerphilly area in South Wales. Our services are offered to Domestic, Commercial/ Industrial and Agricultural/ Equestrian clients within the South and East Wales Area. Why should I hire a Cardiff gardener or landscaper? Even if you do have a few green fingers yourself, gardeners in Cardiff will have the experience and training to carry out larger landscaping projects and will have the eye for what works best where and when in your garden. They may work with a landscape designer or architect who will put together the plans that they then execute, or they may do this work themselves. If you’re looking for a Cardiff landscape architect, or perhaps you want to select your own garden supplies yourself, then you can find the right professionals for this on Houzz, too. Here are some related professionals and vendors to complement the work of landscape contractors: Landscape Architects & Garden Designers, Garden & Landscape Supplies, Stone, Paving & Concrete, Tree Services. Once the plants have been chosen, planted or potted, and the lawn or patio laid, then your garden will be ready to enjoy, but never completely finished. Like all living things, your garden will grow and change with time and the seasons, so it will need a bit of TLC and garden maintenance from time to time. This is when you may want to hire Cardiff gardeners again, especially if you have a very large garden or landscaped area that needs constant upkeep. Hire Cardiff gardeners to water, weed and prune your plants, keep the lawn trim and green, and cut back any over growing trees. Some Cardiff gardeners may source their own garden supplies, while with others you may have to do this yourself. Find landscapers or gardeners on Houzz. 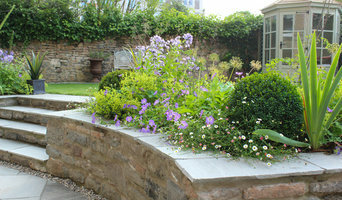 Narrow your search in the Professionals section of the website to Cardiff gardeners and landscape contractors. You can also look through photos of Cardiff landscapes and gardens to find one you like, then contact the Cardiff gardener who worked on it.